Do you want to work in publishing? Publishing is a hard industry to get into, and the first few years involve a lot of work for little pay. Through this book you will gain the information you need to enter the world of books with your eyes wide open. The vast majority of people who want to go into publishing want to be editors, which is the path with the least pay and most work (at least initially). But do you know what the other jobs in publishing even are? You might be more suited for and enjoy working in a completely different department that you've never considered. 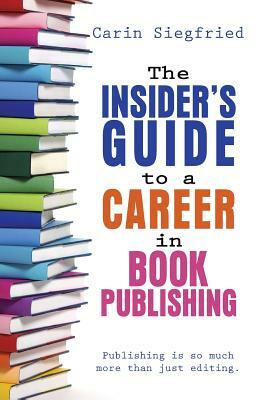 This book takes you through all the major career paths in book publishing and explains the advantages and disadvantages of each, so you can match up your personality and skills to find the perfect job for you. The Insider's Guide to a Career in Book Publishing explains the different types of publishing houses, describes publishing jobs in and outside of New York City and gives you tips for how to get into publishing, including: -how to research the ideal jobs for you; -how to break down a job description and see what it's really asking for; -how to approach the job hunt if you're not in New York City; -what you can do to stand out from the crowd.